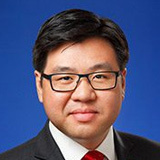 Dr Tim Soutphommasane has been Australia’s Race Discrimination Commissioner since August 2013. Prior to joining the Australian Human Rights Commission, Tim was a political philosopher and held posts at the University of Sydney and Monash University. His thinking on multiculturalism, national identity and patriotism has been influential in shaping debates in Australia and Britain. Dr Soutphommasane is the author of four books, I’m Not Racist But (2015), The Virtuous Citizen (2012), Don't Go Back To Where You Came From (2012), and Reclaiming Patriotism (2009). He was co-editor (with Nick Dyrenfurth) of All That's Left (2010). He has been an opinion columnist with The Age and The Weekend Australian newspapers, and in 2013 presented the documentary series “Mongrel Nation” on ABC Radio National. Dr Soutphommasane was born in France and raised in southwest Sydney. He completed a Doctor of Philosophy and Master of Philosophy at the University of Oxford, and is a first-class honours graduate of the University of Sydney. For those interested in the correct pronunciation of Dr Soutphommasane’s surname, the phonetic spelling of it is Soot-pom-ma-sarn. Australia is often described as a multicultural success story. Yet our cultural diversity isn’t yet reflected in the ranks of leadership within society.